hese are words of Babaji and is typed here in direct speech. For the new reader's sake, I have added in brackets or italics. ShivYog cannot be understood by hearing nor known by telling, but ShivYog can be known by experience. Never say "I will heal". When someone gives you credit for healing never accept it but say "God has healed; I am only doing seva". With ego shakti reduces. The energy foir your life comes through chakras (70%0, breath (20%) and food (10%). If you spend a few minutes in Bhima Shankar Hills/Girnaar Hills with the sadhus in the ashram there, when you come out it will be months. Use bhaav when you go to spiritual places. If you use bhaav it will be a spiritual experience and if you don't it will be trekking. Don't each fruits after meals but before meals as they will then digest better. It is said in the Bible, "All variety of food is the creation of devil." Sacred cosmic sounds heal. Christians use Alleluia, which heals. One should not say, "Oh, that's a Christian word." Similarly, Buddhists have "Om mani padme hum"... these are all positive sounds. A ShivYog sadhak for healing a request does not require location, date of birth, photo, etc, but just the intention and the healing will reach exactly there. If a person requests to heal his uncle and even if the person has 10 uncles, Sanjeevani will flow to the right uncle just with your intention (bhaav) of "Maa, please heal his uncle." You don't have to instruct or guide Maa Sanjeevani but just request. When I send energy and if you have to receive in totality you have to Keep aside your logic and when you receive in totality/purity you will have the Shambhavi mudra. Shaktipath can be done through different ways - touch, sight, sankalpa. 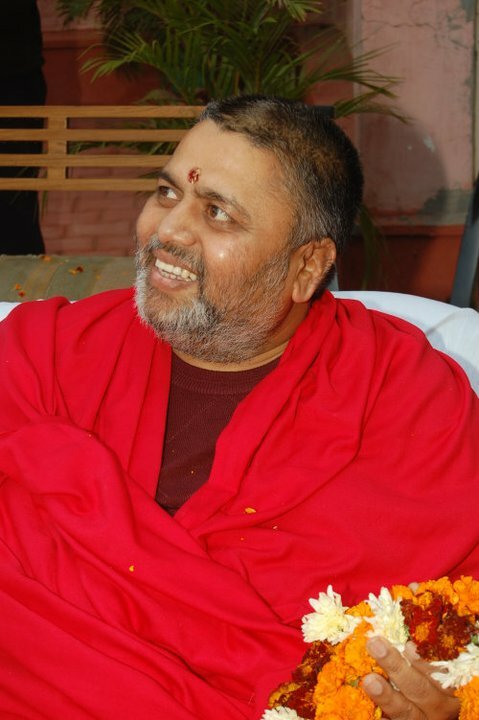 I used to get shaktipath by merely meditating on the guru. In this kind, the Guru makes sure one does sadhana. If you are connected to anyone in the guru-mandala then there is a possibility that you can also experience this. A divine soul will never say "I am a male/female" or "this or that" religion. With more and more sadhana a stage came where I could create anything I wanted. This happens only when purification is at peak. If you still have anger, fear, etc, then you are miles away from purification. It is not possible to leave all this just by telling or teachings; but the sanchit karmas or impressions have to be released. The war between Pandavas and Kauravas went on for a few days but if you read the Bhagwad Gita, it will take weeks to finish reading. Then how did it happen? Sri Krishna transferred all the messages (that are not in Bhagwad Gita) to Arjun in one go. Eknath just by touch gave the same to Puranpoli, who did not even know the grammar of sanskrit. The message that was asked to be delivered by me to you is "You are the creator of your own destiny." Let us make a human chain. I will assure you and you assure everyone. There are only two - one who makes others cry and one who wipes other's tears. Some try to make a third category and say "I don't wipe tears nor make others cry, I only myself cry." Again I say, there is not third, there are only two. If you are crying you are giving tears to the ones who love you. Till you reach the nirguna state, everything you do will either be a punya or paap karma, then all becomes leela. Some say that one is an avtaar or a saint. What are you? Wheter diamond is in a clean place or in garbage, diamond is a diamond. You are yourself God. When Krishna said "I am that I am" everyone said, "He" is everything and the rest is nothing whereas Krishna when saying "I am.." meant "you are.." (representing you). If you see a spec of dust in a glass of water you want a fresh glass of water; here you are choosy, but how is it that you are not choosy when it comes to choosing between good and bad in your life? One sadhaks once happily claimed to me that he progressed in sadhana and could now on and off the TV without the use of remote control. I told that the progress is not worth a great deal but just worth Rs.150/- (cost of the remote control). Petty demonstrations curb pure sadhana. Do not listen to my discourses while driving because my guru has installed in me a rhythm that you will feel while you listen. ShivYog is not a religion or an organization followed by a group of people but is the experience of merging with the infinite and becoming infinite. Learn to tap solar energy because you are entering into the photon zone post 2012. Living on Sanjeevani is a process of detoxifying the body and rejuvenating the body. Complete all your tasks - do not leave anything pending. (Indicating about a mother) If your son and daughter-in-law are together they are laila-majnu and if Shiva and Parvati are together they are Gods? Turiya avastha means moments in samadhi and Turiya teeth avastha means constant state of turiya avastha. Mann changa toh sab changa aur mann ko pakada hai sanchit karma. (If mind is fine everything is fine and what is catching hold of the mind is the past karmas or psychic impressions). ShivYog mein anubhav sacha baaki sab mithya. (In ShivYog only experience is real and rest is all illusion). You want marriage write in Golden Book (about the qualities of the husband) and not the name of the person because that amounts to vashikaran. When you don't want (miseries) drop it and what you want carry it with you. An ignorant carries unwanted things from one life to another.